lists of changes by email. Prices of medicines (pharmacy purchase price (AIP), price of service (per pack or unit), reimbursement price (daily), price per DDD, price and reimbursement price (daily) for dose dispensing). Price development of medicines (from 1 January 1998). Product range of human and veterinary medicines. Prices are not quoted for non-pharmacy restricted medicines, i.e. medicines which may be sold at both pharmacies and other authorised sales outlets. Discontinued medicines (whether temporarily or permanently) until two years from cessation of sale. However, price information is only available for the periods during which the medicines have been marketed. Supply conditions for generic and reimbursable medicines. The medicines' ATC groups (in tables). You can also see your search results as an Excel file and download and print the information in PDF format. 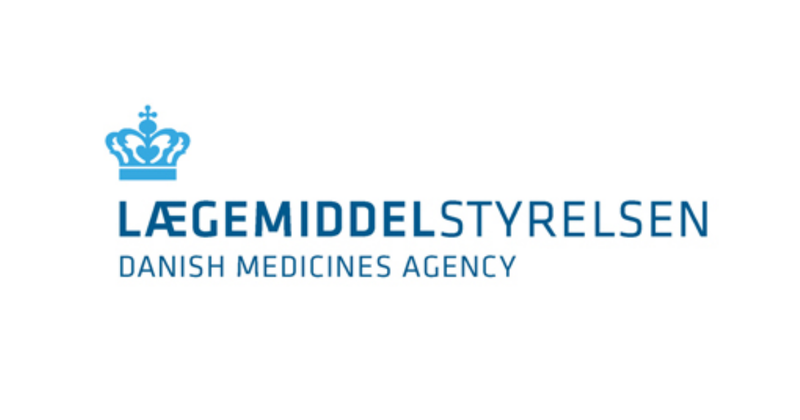 You can access the Danish Medicines Agency's files with medicine prices via an FTP server. To access the server, you need a user name and password, which you receive from the Danish Medicines Agency. You can see an example of medicine price files and the technical specifications via the menu to the left. The lists of changes include packs whose prices change and new and discontinued packs. We send the lists to you by email on Fridays at 6pm, before the changes enter into force. You can also retrieve the lists of changes at erhverv.medicinpriser.dk under 'Arkiv'. The updated prices, etc. are usually displayed on medicinpriser.dk and erhverv.medicinpriser.dk on the Monday morning of the week when the information becomes effective. Anyone can subscribe to Medicine Prices for companies. You can subscribe via the link in the box. The annual subscription fee totals DKK 1,554, exclusive of VAT. The annual subscription covers a calendar year, regardless of when you take out the subscription. No refund is made for subscriptions that are cancelled in the middle of a year. Pharmacies pay an annual fee to receive information about prices, etc. of pharmacy-only medicines, cf. section 9 of Danish Executive Order no. 1407 of 20 December 2012 on Fees Payable for Medicinal Products, etc.